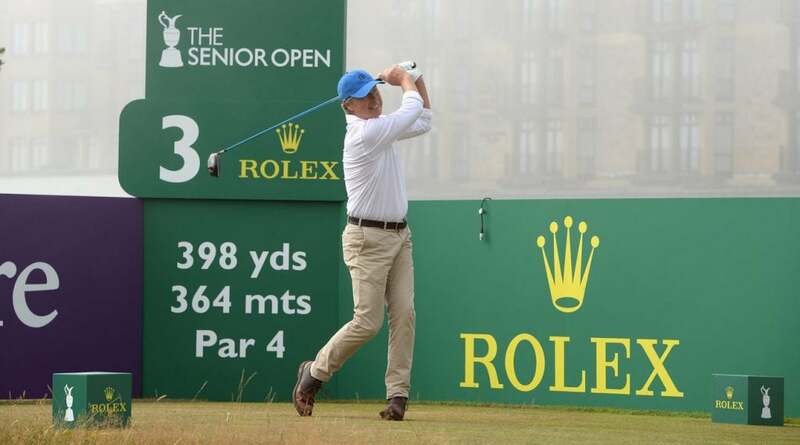 Brandel Chamblee's week at the Senior British Open did not unfold the way he had hoped. With a 77-75 at St. Andrews, Chamblee missed the cut and was sent packing from the Old Course. The famously harsh Golf Channel analyst (Phil Mickelson, for example, said that Chamblee has made his career on "denigrating others") had some choice words for his own shaky performance. “It was tougher than I thought it would be. Yesterday I wasn’t sharp hitting the ball, and I putted atrociously,” Chamblee said, according to Golf Digest. "Today, I was pretty sharp hitting the ball, but I found my way into a couple of pot bunkers. And continued to putt like a buffoon.” Chamblee admitted that he knew that the many players he's critiqued over the years were probably watching: “I’d like to say that having the players watching me wasn’t in my mind on the course. But I’d be lying. Whatever notoriety I have in the game right now is not because of my golf. It’s because I talk for a living. So everybody was watching. And I’m not quite as good as I used to be.” The 56-year-old Chamblee played his last season on the PGA Tour more than a decade ago. He last placed in the top 25 at a PGA Tour event in 2003 and last made the cut in 2004. He earned a spot in the Senior Open by shooting a 69 in a qualifying event at Scotscraig.